J.H. 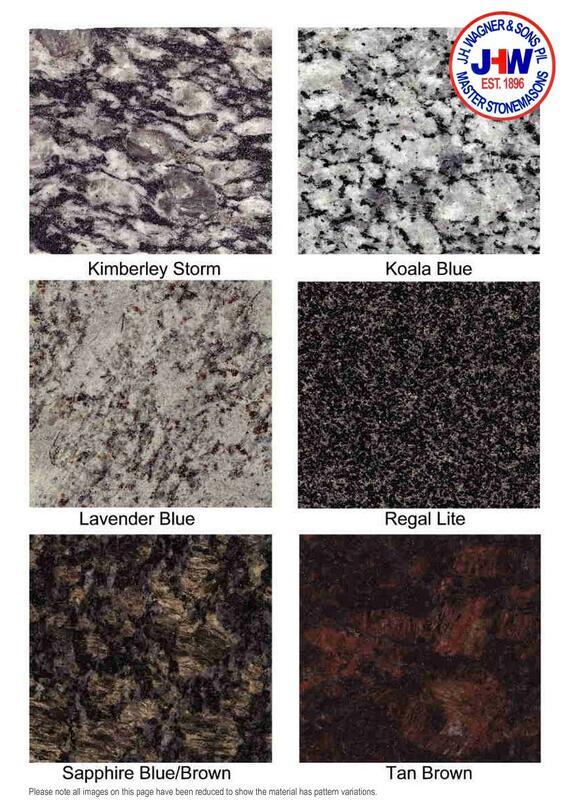 Wagner & Sons source natural granite colours from Australia and overseas. Our modern factory permits us to cut slab directly from block material, polish and process pieces to finished sizes.